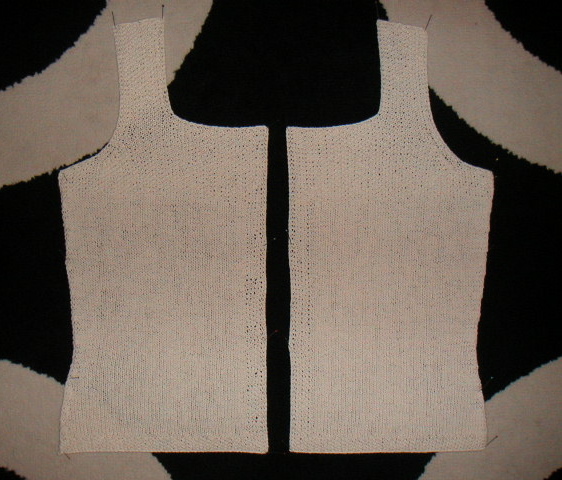 Before leaving for work this morning, I pinned down the two front pieces and they are now blocking. This weekend, I will search for some appropriate buttons. As I was finishing up the right front, I noticed that I only had seven buttonholes instead of the eight that are called for in the pattern. When I was marking placement of the buttons, I must have spaced out and counted wrong. Oh well. I think it will still turn out fine!